Between the 8th and 14th of March, we once again welcomed our friends from Sakai City, Japan to Cantonian High School. They experienced a wide range of activities, visiting Mansion House and meeting the Mayor of Cardiff, venturing down the Mines at Big Pit and visiting the centre of Cardiff. As always it was a wonderful experience for all involved, whether pupils were hosting, helping our visitors during the day or playing in the Dodgbee game organised by Mr. Cook, everyone enjoyed. 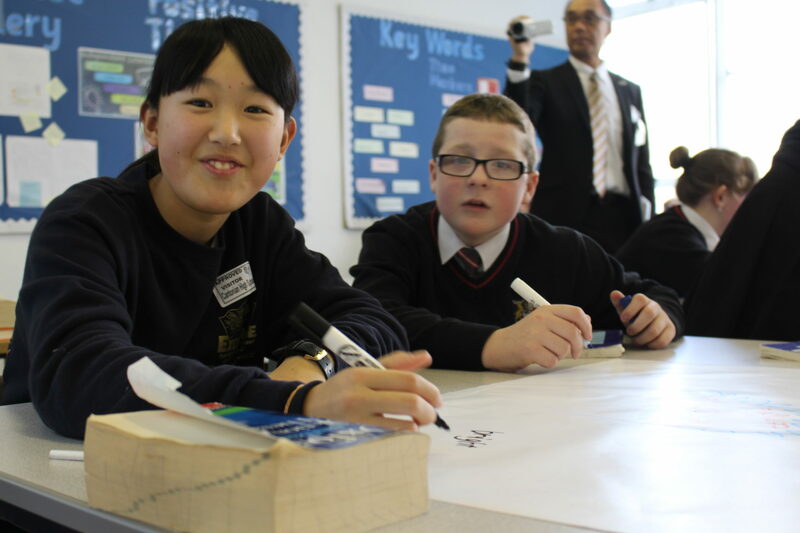 It was amazing seeing how pupils from different backgrounds and cultures mix together and enjoy each others company. We were, as always, sad to see them leave as time passes so quickly once they arrive but look forward to our visit next year. Spaces are already filling quickly for our next trip to Japan in 2019. A huge thank you to Miss. James for taking the time to organise this every year, it is such a positive experience for all involved.